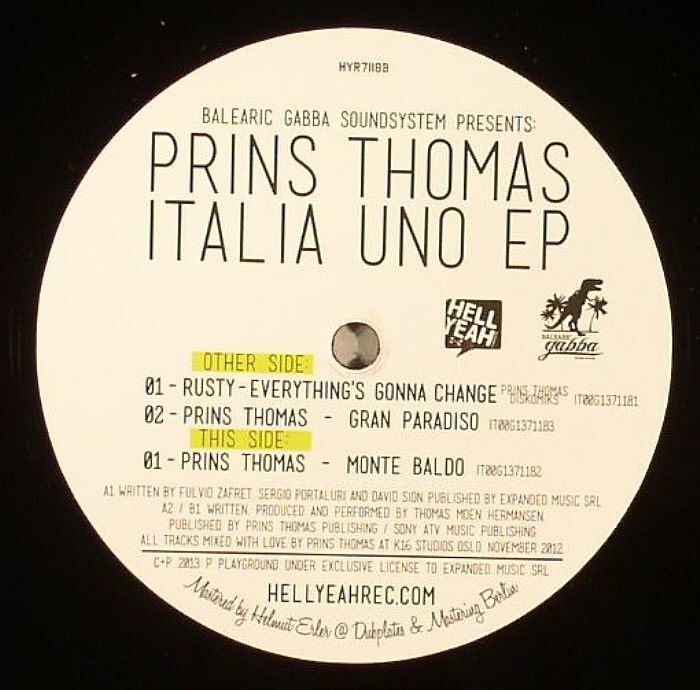 PRINS THOMAS Italia Uno EP vinyl at Juno Records. 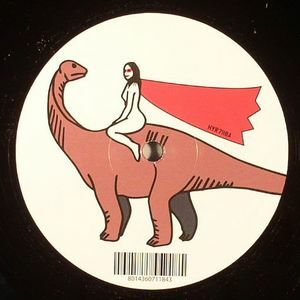 Since 2007 The Hell Yeah Recordings imprint has released music from a wide ranging selection of artists including Roland Clark, Fabrizio Mammarella and Umek. It's seems an unlikely place for Prins Thomas' music, but nevertheless he supplies the Italia Uno EP. The A-side sees Prinny T remix Rusty's "Everything is Gonna Change", a poppy dance track originally released in 1989. The Norwegian then delivers "Gran Paradiso", a synthy wander through pumping arpeggios and popping claves, while "Monte Baldo" - named after a mountain in the Italian Alps - is an acid tip flurry of synthesised horns and shuttering drums.